Posted by Anton Murray Consulting on 23 Aug, 2018 . Our client is a leading global financial services company seeking a VP level Custody Sales /Business Development Manager to join their team in Singapore. Posted by Anton Murray Consulting on 8 May, 2018 . Our client is a global asset manager, seeking an Asian-focused Marketing Manager to help build their business across the broader Asia-Pacific region. Posted by Anton Murray Consulting on 21 Mar, 2018 . Our client is a global asset manager, seeking an Asian-focused Vice President to help build their business across the broader Asia-Pacific region, based in Singapore. Posted by Anton Murray Consulting on 18 Jan, 2018 . This is an exceptional opportunity to join a leading global asset manager, as a Business Manager to support our client's growing Alternatives business. This is a role that will act in close support of the newly appointed CIO of Alternatives. This Business Manager position will act as the conduit between the Investment team and the rest of the company. Posted by Anton Murray Consulting on 9 Nov, 2017 . Leading Fund Manager is currently looking for an experienced candidate to join their performance analytics team. Posted by Anton Murray Consulting on 5 Sep, 2017 . This is a great opportunity to work in a newly created position in Singapore to review and support ESG Investments, and support ESG analysis in the investment decision making process. Posted by Anton Murray Consulting on 9 Aug, 2017 . Seeking a highly experienced Business Analyst with experience in data migration and cutovers. This is an exceptional opportunity for which you will be compensated generously. Posted by Anton Murray Consulting on 2 Aug, 2017 . Our client, an Asia-based asset manager, is looking for a Change Management Lead who will be accountable for ensuring organizational readiness for the new working environment by developing and rolling-out change activities for the organisation. Posted by Anton Murray Consulting on 18 Jul, 2017 . Prominent US Asset Manager with a strong presence in Singapore is seeking and experience Performance Analyst to lead their growing Performance Analytics team. Posted by Anton Murray Consulting on 16 May, 2017 . Join one of the world's leading investment managers as a Senior Fund Accountant. Posted by Anton Murray Consulting on 27 Apr, 2017 . One of the most well respected and rapidly expanding Global Fund Managers is currently looking for an enthusiastic candidate to join their middle office performance team in Singapore. Our client is a global asset manager that offer a full range of investment products across equities, fixed income and alternatives. They are seeking a BDA within their Institutional Distribution team to support their Institutional BDMs and Relationship Managers. Posted by Anton Murray Consulting on 21 Feb, 2017 . Our client is a leading global asset manager with a solid foundation in Asia. Due to a period of growth, they are seeking an experienced Product Manager to join the team on a long term contract. Posted by Anton Murray Consulting on 1 Feb, 2017 . We have a fantastic opportunity with a prominent regional asset manager, with a considerable presence in Singapore. This position is a Director level role leading the team that manages external vendor relationships to this asset manager client. This Director-level position will be leading a small team of Analysts and Senior Analysts and will act as a senior lead in vendor engagement, reporting to the Head of Investment Operations, based in Singapore. Posted by Anton Murray Consulting on 20 Jan, 2017 . This position is a Director level role leading the team that manages external vendor relationships to this asset manager client. The vendor relationships are varied and include several custodian relationships, both global and local. Posted by Anton Murray Consulting on 22 Dec, 2016 . As part of our regional coverage we are seeking a part-time Executive to act as a Recruitment Resourcer in Singapore. Working from our office at One Raffles Quay in the CBD of Singapore, we are seeking to hire a part-time staff member who can primarily help in conducting interviews with candidates that register with our firm seeking to advance their career. Posted by Anton Murray Consulting on 6 Dec, 2016 . Our client is a US Custodian seeking a Fund Reporting manager within a daily team overnight role in their Singapore based office. The Fund Reporting Manager assists with achieving the service delivery of Fund Administration. This exciting opportunity will be looking to pay circa $125k SGD. Posted by Anton Murray Consulting on 1 Dec, 2016 . Our client, a leading global European investment bank with a growing middle office/trade support function in Singapore, is seeking a Manager / Team Leader to join their middle office team. The Equity Middle Office team supports all client-related equity trading activity from the point of trading through to settlement. Our client is a global Fund Manager with growing operations in Singapore. They are seeking a Senior Investment Operations Analyst to join their Singapore office to work as a part of the growing middle office-style Portfolio Operations team. This is a fantastic opportunity to work for a leading Asset Manager. We are seeking an experienced Investment Compliance candidate for a leading global fund services provider in Singapore. This position is on an initial 6 month contract working as part of the Analytics function in an Investment Compliance capacity. The role is expected to pay circa $100k SGD. Posted by Anton Murray Consulting on 29 Aug, 2016 . Our client is a leading global fund manager who are seeking an experienced Performance Manager to join the team in Singapore. The Manager will be accountable for the management of overall workload and resources, the prioritisation of requests, the delivery of requirements, and the provision of management reporting to senior management. Posted by Anton Murray Consulting on 8 Aug, 2016 . Our client is a global bank recognised for excellence. An exciting opportunity has arisen for an Analyst to join their team as a research associate in the oil and gas portfolio. Posted by Anton Murray Consulting on 11 Apr, 2016 . Our client is a leading global Asset Manager seeking a Senior BDM to join their institutional distribution team in Singapore. Posted by Anton Murray Consulting on 19 Jan, 2016 . Award winning global custodian is seeking an experienced Relationship Manager to join their team in Singapore. Posted by Anton Murray Consulting on 3 Dec, 2015 . Posted by Anton Murray Consulting on 12 Nov, 2015 . Our client is a large US Fund Manager seeking a Senior Investment Compliance Officer to join their firm on a full time basis. Posted by Anton Murray Consulting on 20 Oct, 2015 . Our client is a US Investment Manager seeking a Quant Analyst within their Singapore team to run in-depth quant analysis across a diverse set of multi-asset portfolios. Posted by Anton Murray Consulting on 2 Oct, 2015 . Leading boutique Investment Manager is looking to hire a Compliance Manager to provide regulatory advisory and ensure adherence to local and regional regulations across Singapore and HK. Posted by Anton Murray Consulting on 3 Jul, 2015 . 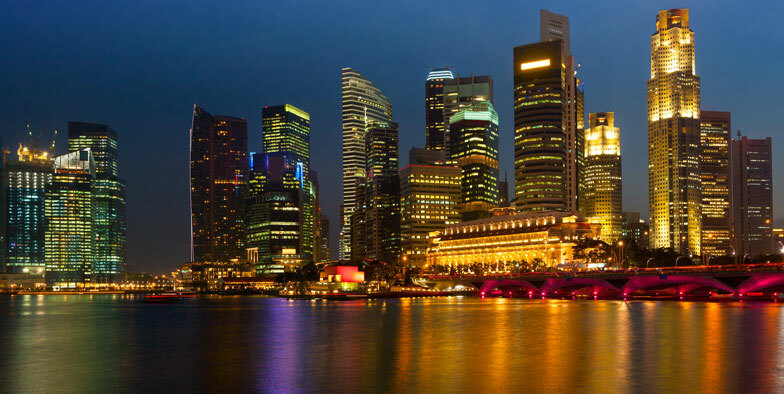 Our client is a leading Hedge fund with sizable operations in Singapore and offices throughout the Asia Pac region. They are now seeking a competent professional to take on the role of Head of Operations. Circa SGD$175 - 220k (depending on experience). Salary Range SGD$175 - 220k (depending on experience).